It’s hard to believe we’ve lived in Turkey for more than a year now – the time really has flown. We’ve survived the relentless heat, the pounding rain and everything in between; there is so much we love and, naturally, some things we find less than endearing. That will be a separate post; for now, let’s focus on a few of the important lessons we have learned…..
1. You can’t beat the dust. I’ll be honest, if you have OCD tendencies when it comes to cleaning, you’ll find it hard to live here. You can go through the house like a dose of salts with a soft cloth and a can of Pronto (our version of Pledge) but, come the end of the day, there’ll be a fine layer of dust on your previously-gleaming surfaces and they’ll look like they haven’t been touched for a month. In winter, when it’s wet, you can exchange the dust for muddy footprints across the balcony if you like. Fortunately I’ve never been that house-proud; it just means I get to clean less and not feel guilty. 2. Plastic tubs are our saviour. I find ants fascinating. Watching them dismantle a decent-sized lizard that had the misfortune to expire on our balcony and remove it bit by bit over the course of a couple of days was really interesting. However, I’m not so keen on opening a box of sugar cubes and finding the little blighters merrily munching away inside, preventing me from ingesting my morning caffeine fix. Whether it’s cereal, cat food, flour, spices…..everything needs to be packed away in plastic tubs to keep the critters out. My family finds my obsession with airtight containers hilarious. They’ll thank me when they realise it’s the only thing standing between the army of ants and their tubes of Pringles. 3. The only plan you can make is to be spontaneous. I don’t care how organised you’ve been in the past. If you want to live here, learning to go with the flow is the name of the game. Decided on a quiet family night in with a DVD? Forget it. Chances are, someone will drop round unexpectedly for drinks and meze. Enjoying a civilised barbecue and a couple of drinks around the pool with friends? Don’t be surprised if you find yourself hustled into the shower and some borrowed clothes so you can meet another group of people elsewhere. Embrace the unpredictability. It’s the only way. 4. Baby, it’s cold inside. While it’s true that outside air temperatures tend to remain considerably higher than the UK in winter, it’s a different story inside. Houses are built to fight the heat of summer and it really is warmer out than in much of the time. With no central heating, getting up in the morning is something to delay as long as possible – certainly until you’ve wiggled an arm out to grab the air-con controls and switched it on for 20 minutes to heat the room up. Layers of clothing become your best friends. On the plus side, I bet none of you were walking around on Christmas Day wearing a t-shirt and paddling in the sea…..
5. What’s mine is yours. As Brits, we’re used to the idea of personal possessions and privacy. If we want to borrow something, we ask. We accept it if the answer is no and, if it’s a yes, we give whatever it is back afterwards. And vice versa. Here, it’s more about giving than lending, and the thinking is thus: “If I need something and you have it, you should give it to me. If my cousin needs it, I’ll pass it on to him. If his neighbour wants it, she can have it. You can have it back if you ever need it again, assuming we can track it down.” The reasoning is pretty much the same whether we’re talking about garden tools, bottles of alcohol or even cold, hard cash! This entry was posted in General, Life challenges and tagged ants, life in Turkey, life lessons, OCD, Plastic tubs, relentless heat, weather on July 14, 2015 by theparsleys. Erm … What ‘Terrorism Threat’ Is That Then? “D’you know, I reckon you might be onto something. Get a quote off some PR at the FO press office and cobble something together. Let’s hint ISIS is thinking of bombing a few beaches or lobbing some grenades into hotel lobbies. They’re not exactly going to sue us are they? “What about the hotels and resorts? They’re not going to be happy…. Of course, there’s no way of knowing if a conversation like that ever really took place but, when you compare the real facts with what was printed in the British media a few weeks ago, it’s not all that difficult to imagine. But then Tunisia happened of course and, suddenly all the stories that seemed to be founded on nothing more than speculation and a few half-truths suddenly became prophetic – enough to be presented many times as gospel in the wake of the attack. But the fact remains that the Foreign Office hadn’t changed its advice on travel to Turkey before the atrocity – and still hasn’t. So just where did the Daily Express and, later, the Daily Mail get their information on the county’s heightened security risk from? Would the UK security services really reveal their hand to just a few journalists in the run-up to a terrorist attack without making some form of statement themselves? Probably not. It’s also very unlikely that ISIS has a direct line to any newsroom in the UK or would warn them of an impending attack either. It’s hard to fathom a motive for either paper running a series of stories apparently designed to undermine the Mediterranean tourism industry and the jobs and livelihoods of thousands of people who rely on it for their income. Even if it’s true, why should we care? Well, living in Turkey and watching early season optimism gradually shrivel up and die hasn’t been easy. 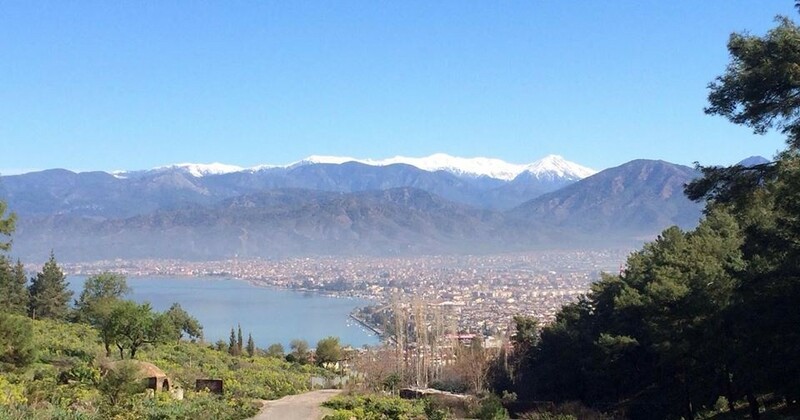 The negative press has combined with unseasonal weather in the first half of the summer to create a perfect storm which has decimated the tourism industry in south-west Anatolia with some businesses recording a 60% decline in just 12 months. That’s not going to be easy to recoup and there are now thousands of families wondering just how they’re going to pay their bills – and these people are not just “Muslims”; they’re my friends. Last year, we were privileged to be invited to attend a village celebration to mark the close of the tourist season where we enjoyed a meal and were asked for nothing more than our company in return. If things continue as they are, I very much doubt there will be much to celebrate this October. It’s frustrating that there’s little we can do to help. We can’t even offer any cast iron guarantees that the resorts around us are safe from ISIS attack. However, what we can say is, if you are planning a holiday in Turkey at any time this year, you will be welcomed just as warmly – if not more so than usual – and, as long as you remain clear of the border with Syria, there’s every chance you will enjoy a memorable, peaceful and utterly relaxing time in the company of truly hospitable people who want nothing more than for you to feel part of the family – so much so, you will have to come back time and time again. 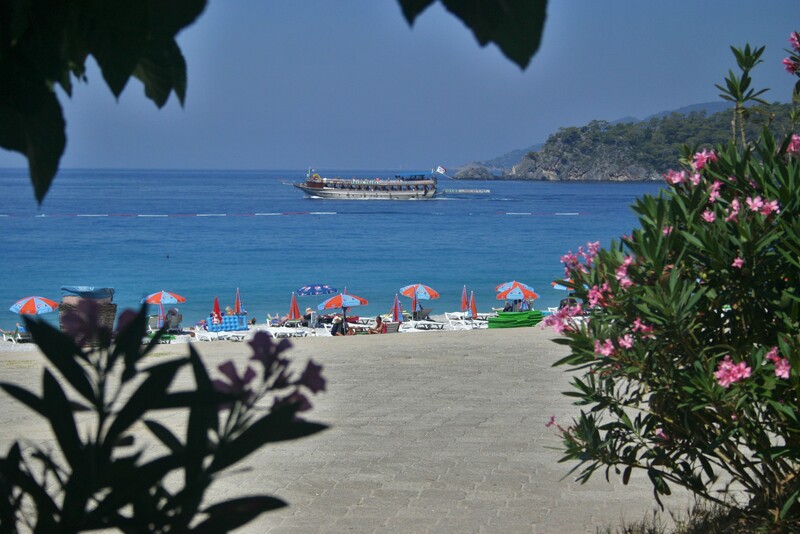 The beach at Oludeniz … No riskier this year than in 2014, according to Foreign Office advice. This entry was posted in General and tagged Clarkson, Daily Express, Daily Mail, Foreign Office, ISIS, Sousse, Syria, Terrorism, Terrorist attack, Travel advice, Tunisia, Turkey on July 6, 2015 by theparsleys.